#StayWild Tip: Inspire a wild child. Let your kids or grandkids run wild with their imaginations. It feels like I’ve always been excited by nature. I can’t remember a time when I wasn’t interested in animals and the outdoors. Even as a moody teen I enjoyed watching wildlife documentaries, especially those narrated by David Attenborough, with my family after dinner. When things seems confusing or stressful, or I didn’t understand my place in the world, my angsty musings were often relieved by a walk along a quiet canal, or through the woods. My grandparents (on my father’s side) were hugely responsible for making me who I am today. I spent a lot of time with them, usually staying with them at the weekends, and they played a massive part in not only educating me about the natural world, but also engendering a kind and compassionate approach to animals and the wider world. My gran was amazing at getting me, my brothers and cousins out and about. She would gather us up early on a Saturday morning, pack us into her tiny yellow Mini, with sandwiches and a flask of tea, and off we would go. Gran took this photo of me at a butterfly centre. 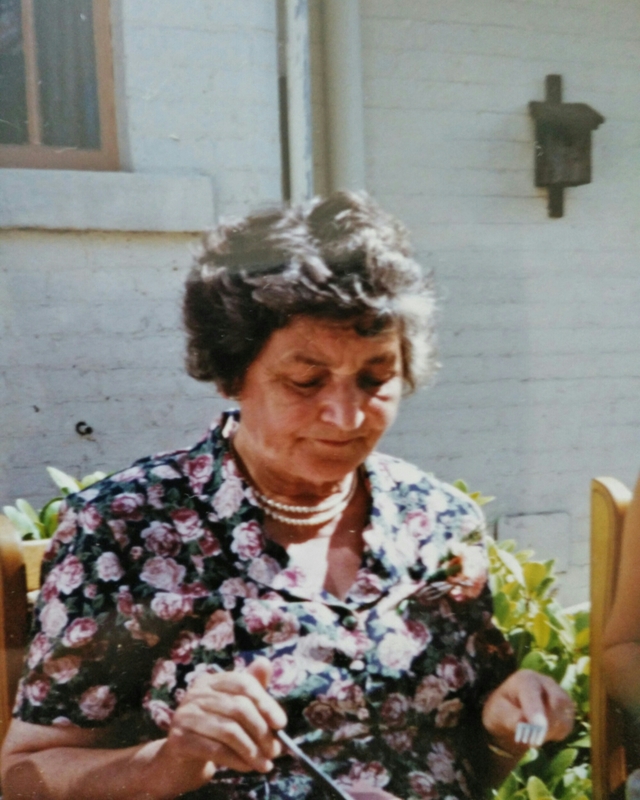 She was a huge fan of the seashore, flower shows and country parks, especially at Dean Castle where we would spend hours in the grounds, visiting the “zoo” and looking for wildlife. We spent a lot of time at Troon, paddling in the water and studying rockpools. 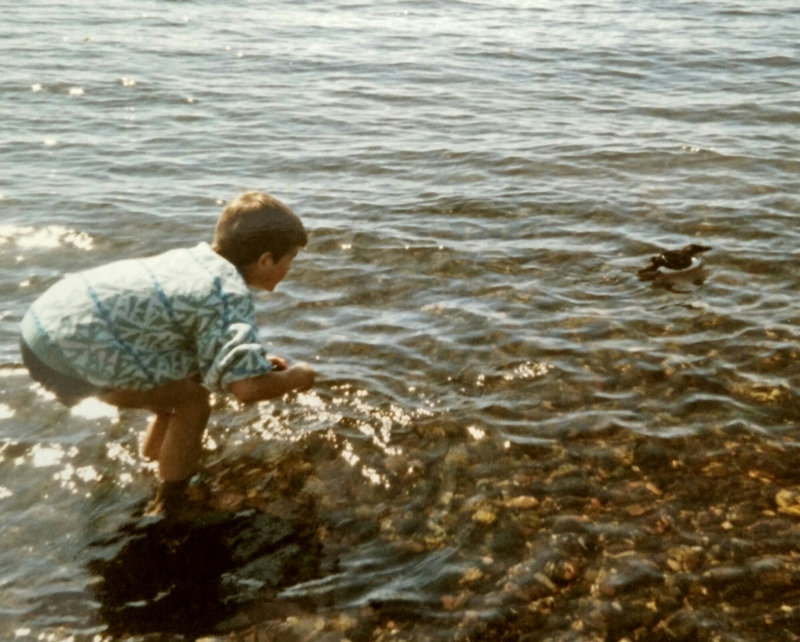 Gran took this photo of me trying to make friends with a guillemot. 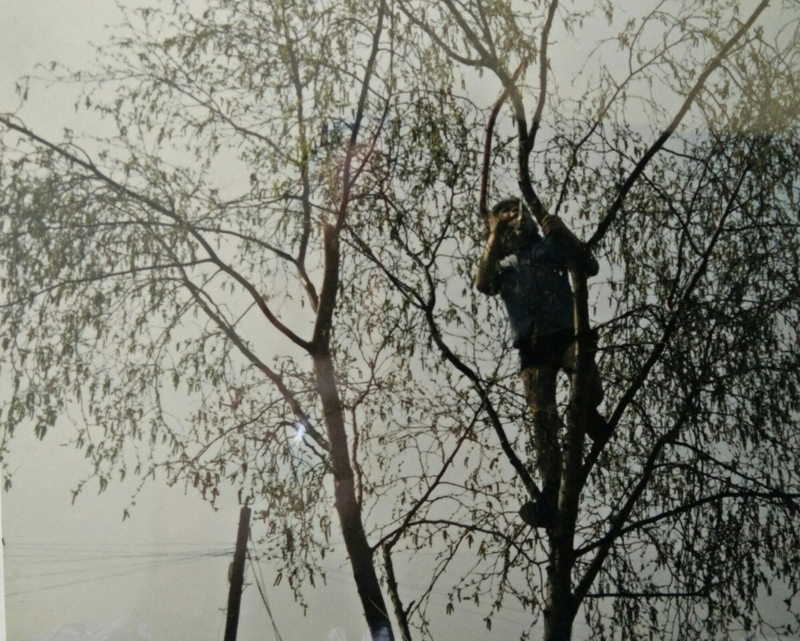 She would bring a small compact camera and a venerable pair of old binoculars, and gave us the responsibility of looking after them. Even on rainy days she would spend hours with us at the window, watching and identifying the garden birds. 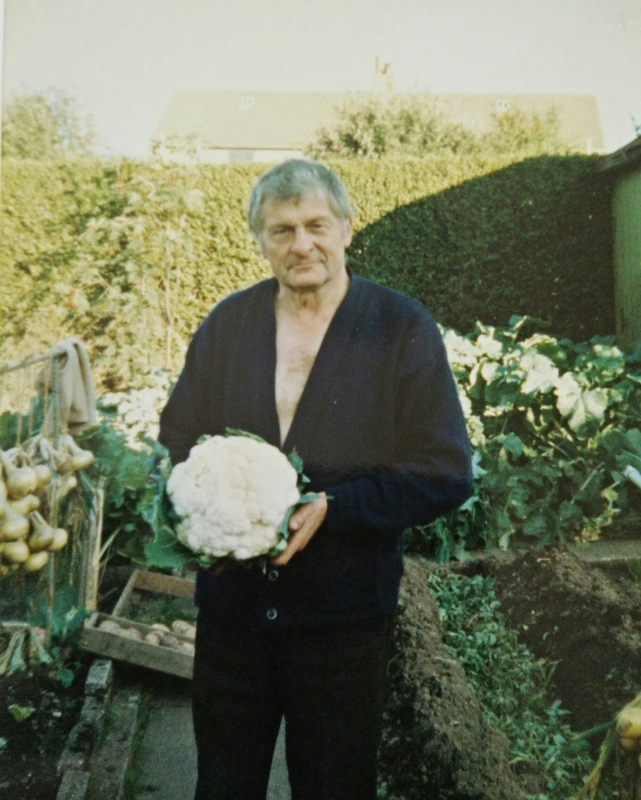 Both my gran and grandpa were wonderful gardeners, with gran enjoying cultivating ornamental flowers and grandpa at his happiest growing vegetables. 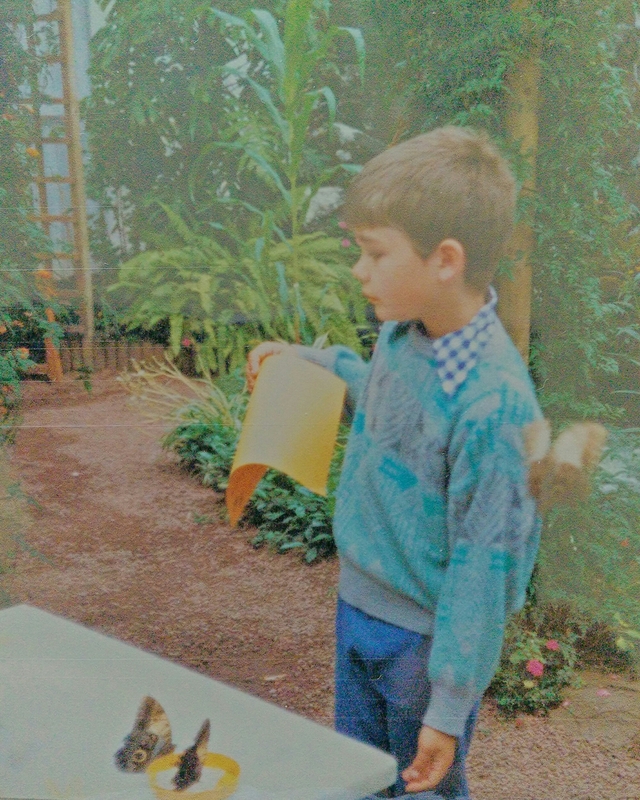 I learned a lot about tiny garden denizens and the satisfaction of growing things from grandpa, and its amazing how much of it all I remember, tucked away in the back of my mind from the days of following him around the vegetable plots and being given jobs to do – digging, watering and climbing up trees to prune them. Its a cliche but I wouldn’t be the man I am today without the encouragement and inspiration that my grandparents gave. They taught me that there are wonders everywhere, and that we have a responsibility to care for and protect the things we enjoy.